Note : Your request will be directed to Sirius Microwave. 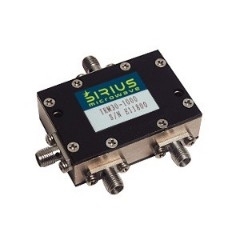 The SSB100-1000 from Sirius Microwave is a Modulator with RF Frequency 100 MHz to 1 GHz, RF Frequency 100 MHz to 1 GHz, LO Frequency 100 MHz to 1 GHz, Conversion Loss 9.5 dB, IP3 16 dBm. Tags: Module with Connectors. More details for SSB100-1000 can be seen below.